Black conservatives are pointing past racism to a safety net that has turned into a spider web. Donald Trump set off another firestorm on Twitter late last week when he pointed to the slaying of an NBA basketball star’s cousin as further evidence that the Democrats’ approach to helping blacks has failed. I found the timing of the tweet in poor taste, sent out while the family is still raw with grief. But however clumsily managed, Trump did raise a question that it would be heartless and irresponsible not to raise: Fifty years on, how is the liberal’s war on poverty going? Has the welfare state lifted lower income blacks and others out of poverty, or has it backfired, creating a near-permanent underclass and a host of social pathologies? The question virtually answers itself. When President Johnson championed a “War on Poverty” as part of his Great Society in the mid-1960s, he pledged to eliminate domestic poverty. Today, over 80 means-tested welfare programs are providing cash, food, housing, medical care and targeted social services for poor and low-income Americans — and this does not include Social Security, Medicare, unemployment insurance and veterans’ benefits. By 1970, the government was already spending over $175 billion a year (in fiscal year 2015 dollars) on such programs. With few exceptions, welfare spending has gone up every year, no matter who is in the White House. 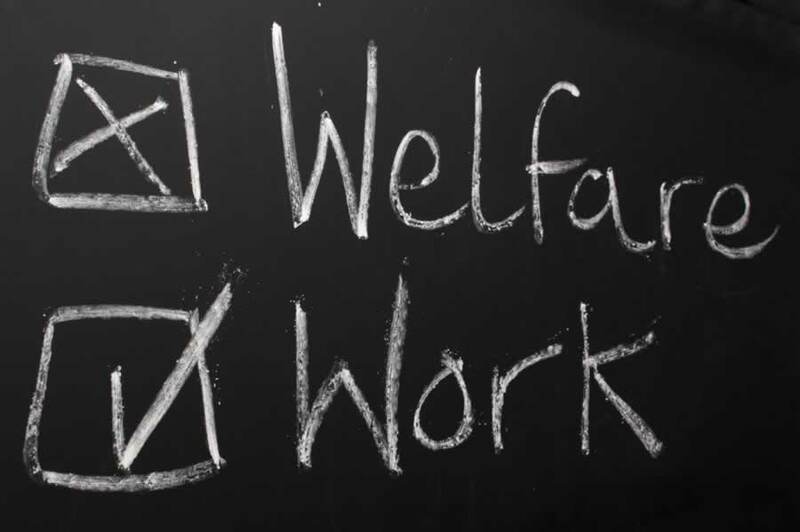 In the decade from 2005 to 2015 alone, spending on those 80 welfare programs went up $288 billion (in 2015 dollars). Federal, state and local spending now totals more than $1 trillion annually. Federal, state and local governments in the United States today spend enough on means-tested welfare programs that if all of the welfare bureaucracy just got out of the way and cut checks to the 40 million poorest Americans, they could give each and every one of them roughly $20,000 a year: $20,000 for each poor individual, $40,000 for every impoverished couple, and $80,000 for every family of four in this group. If domestic poverty had disappeared as a result of all this government largesse, debates about the cost of welfare programs might be left to the accountants and budget wonks, but the percentage of the population that the government deems below the poverty line — which today is roughly 15 percent — has barely budged in the intervening 50 years. Worse, the poverty rate was declining steadily in America until the war on poverty ramped up in earnest. The Welfare Reform Act of 1996 managed to reform one program — Aid to Families with Dependent Children (AFDC) — by adding a work requirement. Opponents cried that it would create an epidemic of homelessness and poverty among single women and their children. In fact, former recipients did not become homeless: They found jobs, dignity and a way out of poverty. Now, under President Obama, even that modest reform has been undone. Besides creating perverse incentives, the welfare system also encouraged negative social patterns — from long-term unemployment and dependence on government to substance abuse and unwed births — that have trapped millions in a multigenerational cycle of poverty. An intact family with a married mother and father may be the best way to prevent childhood poverty in the U.S., so any rational welfare program should promote marriage for parents, not undermine it. Yet the welfare system is rife with marriage penalties. This is why simply cutting fat checks to 40 million Americans would not solve the poverty problem either. The war on poverty would become, in essence, a more lavish and efficient delivery vehicle for a cultural toxin that the welfare system is already delivering far too abundantly — sapping initiative, undermining dignity, accelerating family breakdown and encouraging the cycle of poverty, even intergenerational poverty. The time has come for a serious conversation about reforming the nation’s safety net, which is not so much a springy net as it is a massive, expensive and sticky spider’s web. Adapted from an essay in The Heritage Foundation’s 2016 Index of Culture & Opportunity. Exactly what the Dem/socialists wanted. chaos and control by them. Seen it coming since the late 60’s. Many of the critics of political parties are overlooking the bad effect of NAFTA. The removal of jobs to countries outside USA, was the beginning. Now these corporations are paying no taxes into our country. However they still sell their products here. I forgot…one of those big outfits (non payer) even receives money FROM IRS to cover depreciation of equipment! Lets see which ever party gets into White House fix that! When a college grad has to flip hamburgers for minimum wages…we are in serious trouble. And the campaign for President is the biggest sideshow in town. Newt Gingrich has a very interesting work while receiving government benefits pattern that has worked in the sectors where it has been applied. He is a close counselor to Trump and those ideas are heard. Trump understands the traditional Republican job growth factors and other areas of fiscal accountability. He has generally surrounded himself with wise counselors, and there is evidence he listens to them. There is a Trump problem of, I don’t know, ADHD or similar, along with careless ego. I see him being honed, and consider he will perform entirely better in the arena of working as president, where there is a sharing of ideas and applying his principles. I consider his motives to reflect a genuine caring for his country, a chord which speaks louder to his supporters than his obvious flaws. I think there is good potential for him performing well as a leader, learning as he goes right now how much he needs others along with their counsel. He has the right overall vision. For me, more potential for positive turnaround exists with him than anyone else.